Routledge Education is delighted to announce that Janet Evans, author of the recently published Challenging and Controversial Picturebooks: Creative and Critical Responses to Visual Texts, is our June 2015 Author of the Month. Dr. Janet Evans is an Independent Scholar, freelance Literacy and Educational Consultant and former Senior Lecturer in Education at Liverpool Hope University. She has taught in India, Nigeria, Australia, America, Canada, Chile and Spain. Janet has written ten books on children’s literature, literacy and maths education along with many professional articles and academic chapters in edited books. 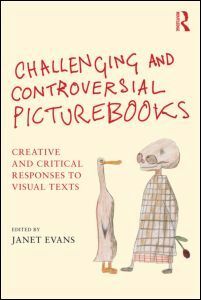 Janet’s exciting new book, Challenging and Controversial Picturebooks: Creative and Critical Responses to Visual Texts, is published by Routledge this month. Dr. Janet Evans is an Independent Scholar, freelance Literacy and Educational Consultant and former Senior Lecturer in Education at Liverpool Hope University. Previously an Early Years and primary school teacher, she completed a two-year secondment as Literacy Consultant with The National Literacy Strategy. 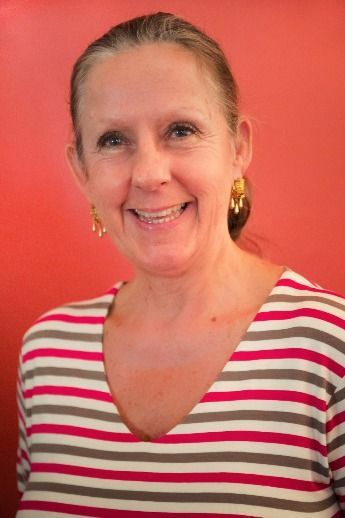 Janet has taught in India, Nigeria, Australia, America, Canada, Chile and Spain and was awarded two research scholarships, which enabled her to work and study in the USA. Whilst in India, Janet provided in-service education to Tibetan refugees. She has also worked in Nigeria giving primary English teachers professional development and career support. Janet has presented keynote speeches and papers at many international conferences along with organising and teaching on numerous in-service conferences. In 2010 Janet was awarded a research scholarship to study at the International Youth Library in Munich where she researched challenging and controversial picturebooks. This is the focus of her latest academic book, Challenging and Controversial Picturebooks. She has written ten books on children’s literature, literacy and maths education along with many professional articles on literacy and mathematics education and academic chapters in edited books. Her first two academic books, What’s in the Picture: Responding to Illustrations in Picture Books (Sage) and The Writing Classroom: Aspects of Writing and the Primary Child 3-11 Years (Routledge and Heinemann USA) reflect her ongoing research interests of children’s literature, reader response and literature circles, along with her interest in children as writers. Her third academic book, Literacy Moves On: Using Popular Culture, New Technologies and Critical Literacy in the Primary Classroom, published in 2005 by Routledge (England) and Heinemann (USA), looks at the changing nature of literacy in the 21st century. Janet’s fourth book, Talking Beyond the Page: Reading and Responding to Picturebooks (Routledge), focuses on how we can encourage children to respond to picturebooks; it was published in spring 2009. It is often assumed that picturebooks are for very young readers because of their emphasis on the illustrations and their scarcity of text; however, there are increasing numbers of picturebooks where the age of the implied reader is questionable. These are picturebooks whose controversial subject matter and unconventional, often unsettling style of illustration challenge the reader, pushing them to question and probe deeper to understand what the book is about. In addition to the book challenging the reader, the reader often challenges the book in an attempt to understand what is being said. These increasingly popular picturebooks work on many different levels; they are truly polysemic and worthy of in-depth analysis. They push the reader to ask questions and in many instances are intrinsically philosophical, often dealing with fundamental life issues. Children’s and adults’ thoughts on these kinds of picturebooks. How challenging and unsettling wordless picturebooks can play with the mind and promote philosophical thought. What creates non-conformity and strangeness … is it the illustrations and their style, the subject matter or a combination of both? Why certain countries create, promote and accept these picturebooks more than others. Why certain picturebooks are censored and what factors are in play when these decisions are made. The role of publishers in translating and publishing these picturebooks. Children’s creative and critical responses to strange, unsettling and often disturbing visual texts. This inspiring and thought-provoking volume explores the work of a number of highly respected, international picturebook experts and includes an exclusive interview with the legendary Klaus Flugge, Managing Director of Andersen Press, one of the few remaining independent children’s book publishers in England. It is an indispensable reference for all interested in or working with picturebooks, including researchers, students in higher and teacher education, English advisors/inspectors, literacy consultants and classroom teachers. Why did you decide to write Challenging and Controversial Picturebooks? I am passionate about these kinds of picturebooks! Many people assume that picturebooks are for very young readers because of their emphasis on the illustrations and scarcity of text; however, there are increasing numbers of picturebooks where the age of the implied reader is questionable. These are picturebooks whose controversial subject matter and unconventional, often unsettling style of illustration challenge the reader, pushing them to question and probe deeper to understand what the book is about. In addition to the book challenging the reader, the reader often challenges the book in an attempt to understand what is being said. What’s the one thing you hope readers take away from your book? It isn’t good enough to just read a book; one must talk about it as well. This is categorically the case with some of the thought provoking, philosophical texts being dealt with in this book. Children are often exposed to media coverage of violent, troubling international news items, which sadly, are part and parcel of life in the 21st century. The picturebooks being considered in this book provide the opportunity for readers/viewers of all ages to share and talk about controversial and frequently unsettling issues in reader response discussion groups, thereby allowing them to develop their views and personal opinions. Is there anything you’d like to highlight about this topic or your book in particular? Provocative, often unsettling picturebooks work on many different levels; they are truly polysemic and worthy of in depth analysis. They push the reader to ask questions and in many instances are intrinsically philosophical; they deal with fundamental issues, which often form the basis of life. Regrettably, many of these controversial and thought provoking books are not translated into English or published in English speaking countries. In effect this is a form of censorship and is done before the readers’ themselves can make their own decisions. What’s a common misconception about this topic that you’d like to clear up? Picturebooks are not just for young children but are for readers and viewers of all ages. Often these books, which some might call postmodern, are exquisitely beautiful to look at, touch and hold, they are art books and are often created by author/illustrators who are artists in their own right. Click here to order a copy of Challenging and Controversial Picturebooks today!